South Korea’s contender for the foreign-language Academy Award, and the first Korean-language production for Warner Bros is a blockbuster in every sense. The film is set at the end of the 1920’s, in Korea, during the Japanese occupation. 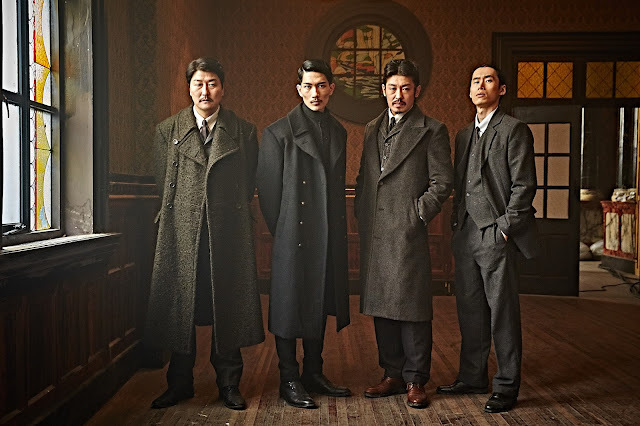 Lee Jung-chool is a Korean working for the Japanese police, whose mission is to uncover members of the Resistance, and particularly Kim Woo-jin, one of its central figures. Lee has some successes, but the Japanese do not fully trust him, and attach to him Hashimoto, supposedly as his assistant, but actually as the man in charge. In this power struggle, both sides use their moles and their informants, and a series of events take place, that lead Lee and Kim to meet, although none of them reveals that he knows the other’s identity. Soon the scenery changes, as all the players move to Shanghai, where the members of the Resistance have moved to avoid investigations and to obtain explosives. Kim soon tricks Lee into a meeting with the leader of the Resistance, Jung Chae-san, and now Lee has to choose sides, as he is blackmailed by the Koreans and suspected by the Japanese. A deadly cat-and-mouse game initiates. 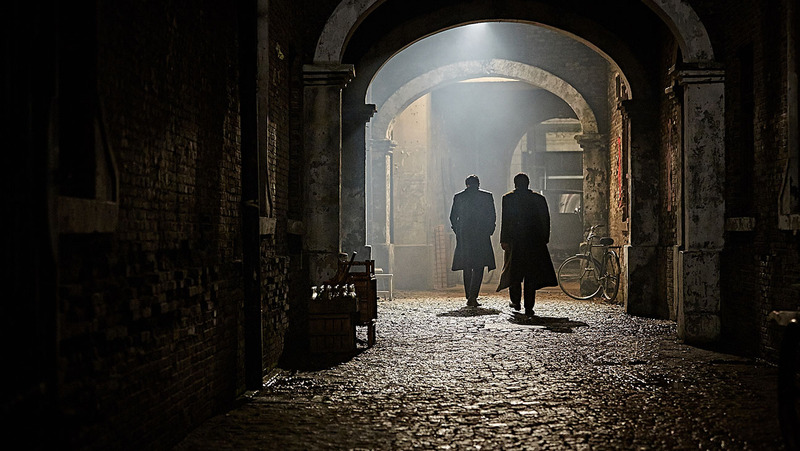 Kim Jee-woon directs and pens a spy thriller that also combines elements of film-noir with action and drama. There is also a minor romantic concept, but it’s not actually examined at all, since women are in the definite background. The script is quite elaborate, with constant betrayals and changes in the upper hand, as spies fight against other spies. These notions are chiefly materialized through Lee Jung-chool’s character, who incorporates all of them. In terms of direction, the film is a true masterpiece. Kim creates a great atmosphere that is shaped through a number of “confrontations”, usually between two characters, with the ones between Lee and Kim standing apart. The noir element is chiefly present in these scenes. The highlight of his direction, though, is the sequence on the train, where he manages to retain the agony through an astonishing number of events, which occur despite the restricted space. The bloody finale of these events is another highlight of the film. After that point, the dramatic element also enters the movie, along with the most violent scenes, which include graphic depiction of torturing. In that fashion, the action scenes are another point of excellence, with the aforementioned and the introductory one, with the magnificent shots on roofs, being the ones that stand apart. The film’s large budget ($8.62 million) becomes quite evident in these scenes, which highlight Kim Ji-yong's magnificent cinematography and elaborate editing. The same applies to the utterly detailed depiction of the era, which includes costumes, the setting in both Korea and Shanghai, even cars and rickshaws. Song Kang-ho is great as always as Lee Jung-chool, in a very difficult role that demands a constant state of inner struggle. His chemistry with Kim Jee-woon, that has been shaped through three previous collaborations (“The Quiet Family”, “The Foul King”, “The Good, The Bad The Weird”) is quite evident, and one of the biggest assets of the film. Gong Yoo is also great as highly intelligent Kim Woo-jin, in another difficult role, that has him portraying a character who must hide his angst under a rather cool facade. The one who steals the show, though, is Um Tae-goo as Hashimoto, a truly great villain, both in concept and in materialization. The fact that he oozes evil and threat from every part of his body is a definite point of excellence, as is his constant, covered threat towards Lee Jung-chool. The scene where he is first introduced, when he hypocritically acts as if he has respect for him, is one of the greatest in the film. Lee Byung-hun also appears in the film, in a small role, once more looking as smooth as possible. 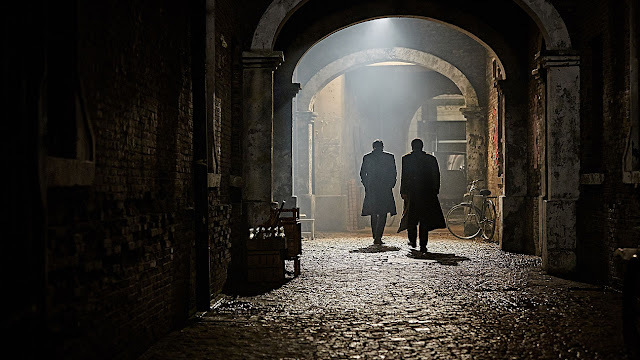 “The Age of Shadows” is a film destined to succeed, both commercially, since it includes a favorite theme, some of S. Korea’s most popular actors, and a rather large budget that was implemented wisely, and artistically, particularly due to the acting and the masterful direction, and it absolutely deserves it.